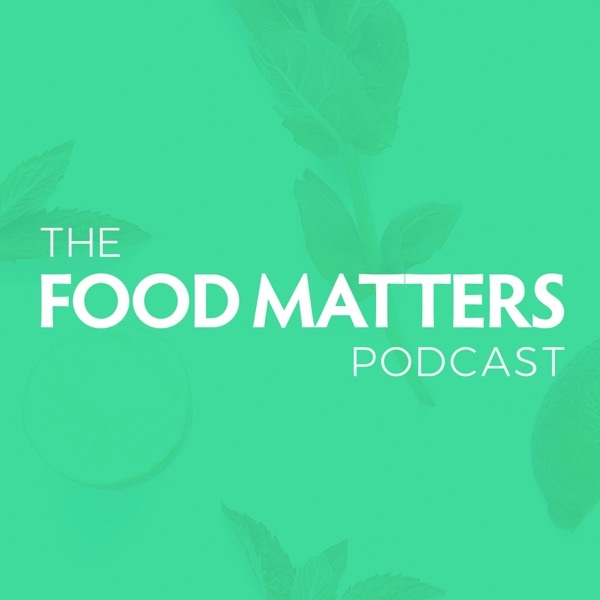 Food Matters Podcast | Listen Free on Castbox. Food can either be the foundation of health or the foundation of disease, the choice is ours. Last week I had the pleasure of speaking with the host and co-founder of Food Revolution, Ocean Robbins. In this interview with Ocean Robbins, you will learn: Two powerful foods that could help reduce cancer by 64% The alarming statistics on the growing disease epidemic The latest research around food and nutrition How to reduce your risk of Alzheimers and Dementia Ocean's tips for living for longevity Click here to learn more about the 8th Annual Food Revolution Summit and to save your free seat. Melissa & Jasmine Hemsley radiate health and beauty - you can't miss it when you see them. Which made me wonder - what's the secret behind their effortless radiance? In episode 15 of the Food Matters Podcast, Melissa & Jasmine spill their secrets for better digestion and beauty. These women are all about eating wholesome food, ethically sourced, and love returning to their Filipino heritage for recipe inspiration. This food-loving, power duo are taking the world by storm with their down to earth approach to eating and nourishing your body. In Episode 15 of the Food Matters Podcast, you'll learn: How their heritage has influenced their cooking style The effects of mindful eating, listening intuitively to your body and finally forgetting the dieting myths from the 90s' How subtle changes in your eating habits can result in big impacts in your life The duo's beauty secrets (Plus, the skin secrets one tropical fruit bears) And, how your intentions and actions can help you heal. Imagine how you’d feel if, by making simple changes, you could start to sleep through the night, waking up fresh and energized. If you’re finding it difficult to get a good night’s sleep you’re not alone. In fact, you’re now in the majority. A recent survey in the US found that 52% of the respondents were classified as “not good sleepers”. Like you, there are many people around the globe tossing and turning their way through the night, and stumbling their way through the fog of the following day. This week's podcast episode dives deep into what helps us to sleep with Tom Cronin from The Stillness Project. Not only will you learn about how to overcome insomnia, you will also discover: How to address why the nervous system is not allowing you to sleep naturally. How to apply meditation to assist the sleep process. Simple and practical tips on how to get a good night's sleep. Have you ever had difficulty waking up in the morning, or had a lack focus and mental clarity? Or maybe you feel tired all the time and can't figure out why! Chronic Stress and adrenal fatigue is an invisible epidemic that millions are suffering from around the world. It's the result of mental, physical and emotional stress. In this week's podcast episode, I am joined by Dr. Alan Christianson to discuss how you can learn to deal with stress and adrenal fatigue. This week’s Podcast episode is dedicated to Charlotte Gerson. Just last week, Charlotte Gerson passed away, one month shy of her 97th birthday. She was a champion in the natural health and wellness movement, helping to continue the legacy of her late father’s work, Dr. Max Gerson, who discovered and developed the Gerson protocol. The natural healing protocol help to heal himself from XYZ and others who were going through chronic end-stage disease and even Cancer. Dr. Gerson story is an incredible one, captured in this full interview with Charlotte when we were filming the Food Matters Documentary. It’s amazing to think that when we conducted this interview, Charlotte was 86 years old, and an absolute powerhouse, driven by sharing the work of her father. Charlotte - your tireless support that you dedicated to natural therapies and continuing your father’s legacy defied your age. We will forever continue to share your films with the world. Rest In Peace Charlotte Gerson.